2019 brings an entirely new batch of restaurants, coffee shops, bakeries, and tasting rooms to douse your pallet with new flavors and your Instagram with new pics. Here’s where you’ll be eating in Grand Rapids this year. It’s a brand new year. And if you’re a foodie, small business patron, or simply enjoy all of the new economic development in our mid-sized city, then you probably spent 2018 sampling new restaurants like Mexo, ROAM, Linear, and many others located in in almost every nook and cranny of Grand Rapids. But GR chefs and restaurateurs aren’t finished. 2019 brings an entirely new batch of restaurants, coffee shops, bakeries, and tasting rooms to douse your pallet with new flavors and your Instagram with shiny, filter-free pics. I hope you’re hungry. Here’s where you’ll be eating in Grand Rapids this year. Paul LeeThree-time restaurateur Paul Lee (of Donkey Taqueria, the Winchester, and What The Truck) has been hard at work redeveloping the site of the former Wealthy Street Station at the corner of Wealthy Street and Fuller in Eastown. His newest venture, Hancock, is set to open this month. And customers will be able to easily pick up their orders at the counter, or head outside to enjoy the casual outdoor space. Staking another claim in this corridor, Lee continues to excite foodies with his expansive and diverse restaurants. If you’re still heartbroken over the loss of Marie Catrib’s in East Hills, you’re not alone. But not to worry, the space of this historic and loved restaurant is soon to be filled with another heavy hitter by the owners and operators of That Early Bird and Littlebird. Known for their devotion to ambience, tasty coffee, and fun twists on international dishes like Bibimbap and Vindaloo, the “bird” operators seem to have their sights set on a culinary takeover. And with their third location situated at the “center of the universe,” they’re poised for success. Doctors, nurses, and researchers are not alone in their devotion to the development of Medical Mile. 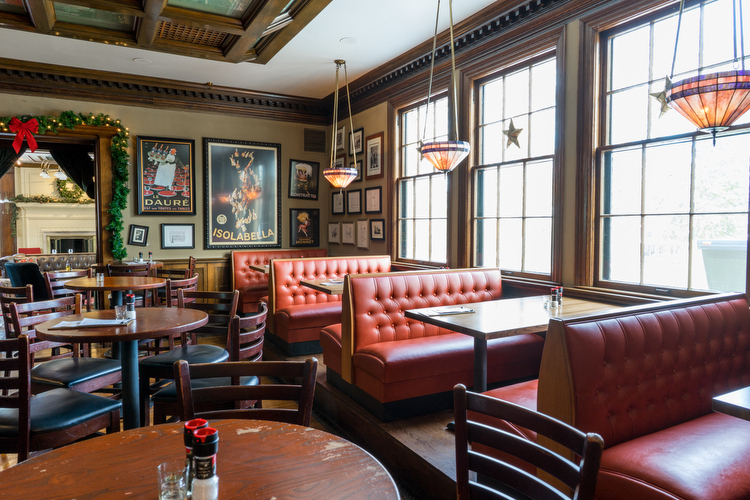 While mainstays like Duke’s and Bob’s continue to serve up delightful happy hour fare, new businesses have come alongside them to add to the variety of tastes and environments in the corridor. 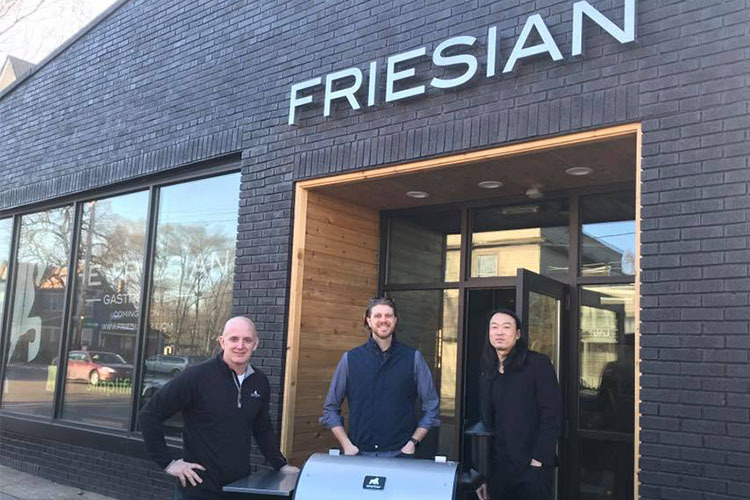 With a tagline of “Great Food with a Casual Vibe,” Friesian Gastropub has taken over the formerly vacant site of the Lord’s Chapel. Currently undergoing a massive renovation, the 2,800 square foot space will include Michigan St.’s first 50-person rooftop deck, as well as a 20-person patio. And despite the Dutch name, the owners stress that the menu will not be Dutch-themed, but will focus on comfort, elevated pub food. Yum. New lounge and restaurant Ambiance GR is headed up by Grand Rapids Area Black Businesses (GRABB) Founder and CEO Jamiel Robinson and co-founder of The Midwest Tech Project Jonathan Jelks. "Grand Rapidians can expect a swanky lounge and small entertainment venue where great music will be played, affordable cuisine will be served, and happy hour will be a consistent place business professionals convene for good vibes," says Jelks. 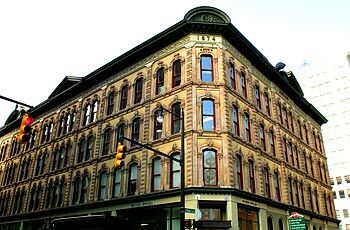 "We aim to create an establishment that adds to [the] growth and development of downtown. 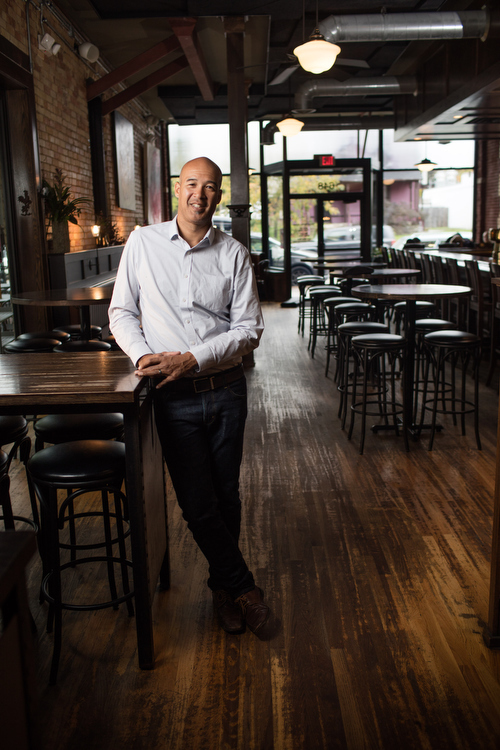 A space where the diversity that makes Grand Rapids unique is celebrated and where patrons from every background will be welcomed." In late 2018, Robinson shared a promotional video to Facebook with the caption: “Excited to be a part of this effort to bring diverse ownership and entertainment to Downtown Grand Rapids!” The video showcases a cool, comfortable, and highly diverse vibe — something that is poised to fill a void in the downtown business district when they open in April of this year. With the completion of Diamond Place came the opening of Gordon Food Service store, a grocery to finally serve Michigan corridor residents years after a grocery store once located at the same site was demolished. And now, Midtown’ers and anyone seeking a steaming hot bowl of noodles have the chance to appreciate the property’s culinary options at Ginza Sushi & Ramen Bar. Opening this past December, Ginza’s menu is perfect for takeout. Offering lunch and dinner bento boxes, as well as hibachi dinners, ramen bowls, and every sushi roll you could possibly imagine, this new restaurant is a welcome addition to Michigan street. If you’re vegan, love sampling confections while you work at neighborhood coffee shops, or simply like homemade donuts and poptarts, then you’ve probably had a taste of a pastry by Rise Authentic Baking Co.
For a few years, husband and wife team Nick and Becca Van Liere have been spreading the love of “allergy-conscious” baked goods, providing their products to local businesses like Lyon Street Cafe, Global Infusion, Outside Coffee Co., and Roots Brew Shop, but recently the pair decided to strike out on their own with their very own Westside storefront. Partnering with East Hills coffee shop Squibb Coffee & Wine Bar — who has offered Rise pastries at their Wealthy/Diamond cafe— Rise is currently undergoing renovations at the 1220 Fulton St. West location, adding to the vibrancy of the quickly redeveloping Westside. "Coffee and baked goods were meant for each other, so we are so stoked to partner with Squibb Coffee on this venture of opening a brick and mortar space," say the owners. "We're working to create a very unique shared space in the John Ball neighborhood in Grand Rapids' northwest side, and are eager to show you all what we've been working on. We're tying up loose ends and cannot wait to share a grand opening date with you soon!" With all of the development on the Wealthy Street corridor, some businesses are bound to come and go quickly. Such was the case for Georgina’s, a Latin fusion restaurant that closed in December (but still maintains a location in Traverse City, if you’re up for a drive). Settling into its place will soon be Zivio, a modern European tavern, and will be headed up the Duratovic family, owners of Bosna Express, an authentic Bosnian restaurant on 28th St.
"The cuisine style will be influences of Turkish, Mediterranean, Eastern and Central European cuisines," says Dino Duratovic. "A large majority of our food will have Bosnian flavour profiles. Some of our menu items will be our gyros (doner kebabs), a wide selection of shish-kebabs, and cevapi (Bosnian beef sausages). 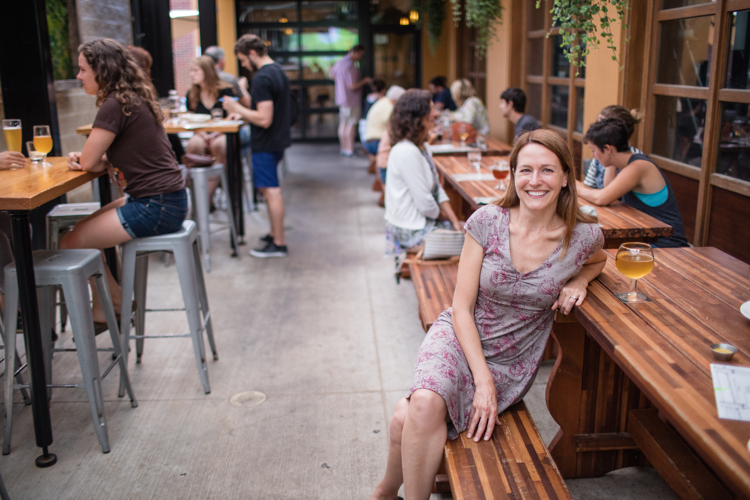 Our beer, craft cocktails, and wine will also be reflected by our cuisine's demographic." 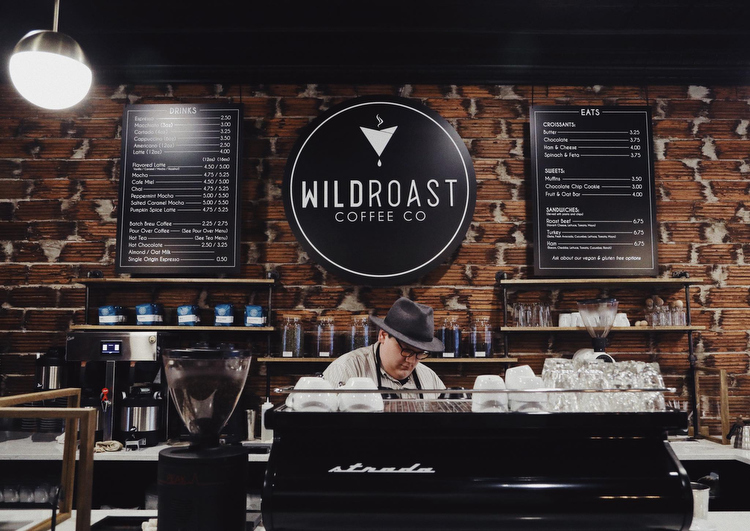 If you’ve made your way through all of Grand Rapids’ coffee shops and are looking for something new, then embark on the relatively short journey to Grandville, where Wildroast Coffee has been serving up pour overs and comfy vibes since January 4th. 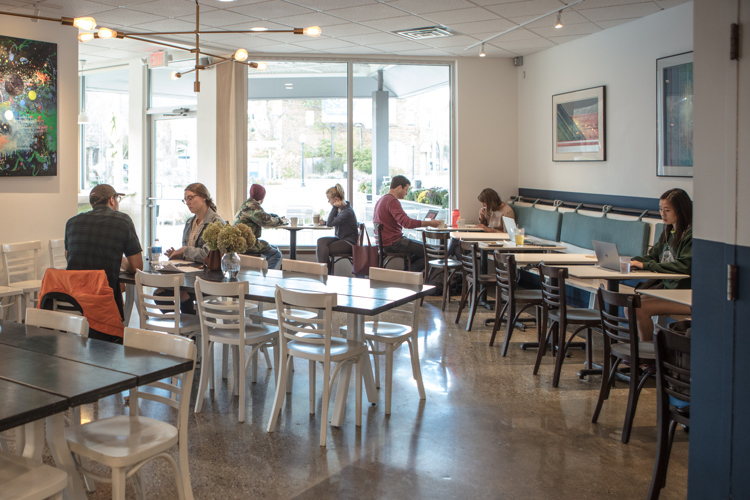 Offering everything from espresso to batch brew to baked goods and even light sandwiches, Wildroast has brought the upscale coffee shop vibe to Grandville. They even keep their coffee sourcing local, purchasing beans from Foster Coffee Company of Owosso, MI, a company that also collaborates with MadCap and Moo-ville Farms. And, really? Whoever gets tired of coffee? As if you needed more reasons to eat and drink creations crafted by the talented team at Brewery Vivant. Branching out from their iconic East Hills location, owner Kris Spaulding notes that the brewery and restaurant hopes to open a new taproom in Kentwood some time this spring. First reported by MiBiz in September, the article noted that the new location at — 2884 Lake Eastbrook in Kentwood — would be the first craft brewery located in Kentwood. And with favorites like Big Red Coq, Farmhand, and the Plein de Vie series — not to mention the culinary creations like Duck Confit Nachos and Beer Cheese — and a passionate commitment to sustainability, we really don’t need to say more to get you excited about this beloved local company’s new location. We all knew that the former site of Mangiamo! would soon bustle with activity once again. And yes, the Gilmore Collection is back at it, with the opening of The Pub at Paddock at Paddock Place Catering and Events at 1033 Lake Drive SE on Tuesday, January 29. With a history of crowd-pleasing cuisine and drinks, as well as an entertaining atmosphere, The Pub at Paddock is sure welcome a number of regulars in its near future.